Little Women of Baghlan is a book on Afghanistan women in the 1960's. 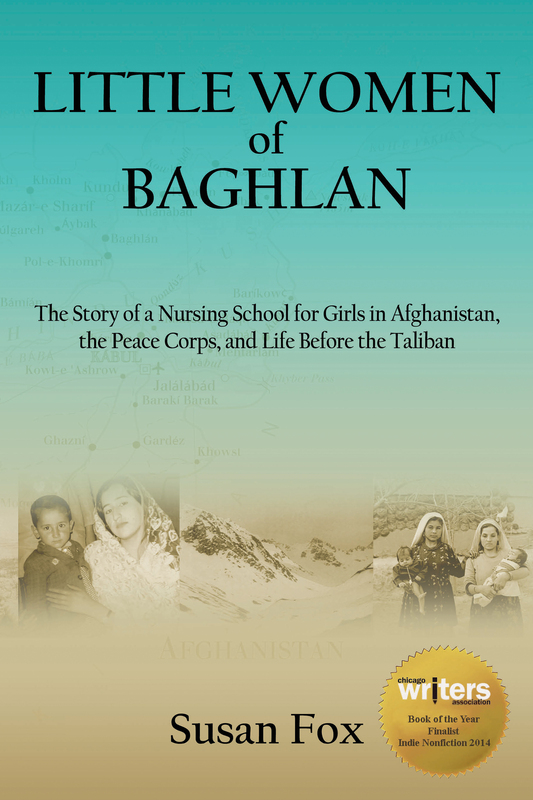 Author Susan Fox shares the story of an American Peace Corps Volunteer working at a nursing school for women in rural Afghanistan before the Taliban. The true account of an ordinary young woman who answers the call to service and adventure, Jo Carter’s story rivals the intrigue and suspense of any novel, unfolding against the tumultuous backdrop of the 1960s: Civil Rights, Vietnam, the Peace Corps, and a country at the crossroads of China, Russia, India, Pakistan, and Iran. Jo deploys to Afghanistan 1968, before the Russians or the Taliban. She doesn’t bring much: a few clothes, a shortwave radio, and a crisp, new diary. Over the next two years Jo writes about her nursing school, and her young students, the hospital without running water, the Afghan neighbors peeking over the compound wall, the juie puppy she adopts, the hardships, friendships, parties, and eventually, the Soviet presence within the country. A half century later, her words are a window to the past—when Afghanistan was on the cusp of becoming a modern nation. That country is gone, and there is little evidence to indicate such a time or place ever existed. Jo set her bag in the dust, among blades of grass worn thin by countless footsteps. A spindly row of trees cast elongated, early-morning shadows across the taxi bazaar, but already, passengers were queuing up. Jo had done this a dozen times. It was another routine trip, but a reprieve nonetheless, a welcome break from teaching five and a half days a week. She climbed into the back seat of a sedan, a dusty, Russian-built Volga. Susan will travel and speak about her book on Afghanistan Women, sign copies, and answer questions. Email Susan and ask her to attend your function.